The Economic and Financial Crimes Commission, EFCC, today informed Justice Valentine Ashi of a Federal Capital Territory, FCT High Court sitting in Apo that it has written to the Attorney General of the Federation, AGF, Abubakar Malami, SAN, in respect to the extradition of a former Minister of Petroleum Resources, Diezani Alison-Madueke, from the United Kingdom. 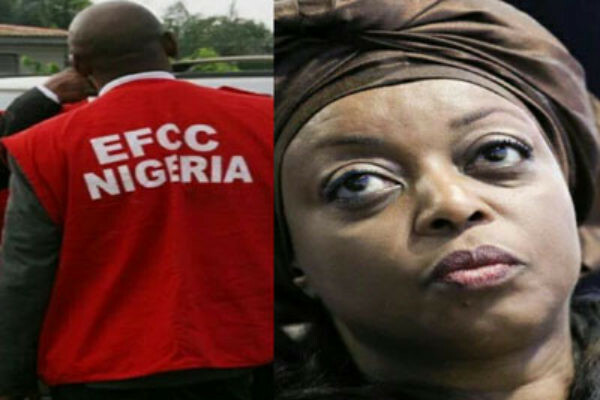 Diezani and Jide Omokore, a former Chairman, Atlantic Energy Drilling Company, were supposed to be arraigned by the Commission on February 25, 2019, for offences bordering on conspiracy and illegal act of accepting and giving gratifications. They are alleged to have accepted and given gifts in properties located at Penthouse 22, Block B, Admiralty Estate, Ikoyi, and Penthouse 21, Building 5, Block C, Banana Island, Lagos. They are to be arraigned on February 25, 2019 on a five-count charge for the offences, which are contrary to Sections 26(1) of the Corrupt Practices and Other Related Offences Act, 2000. At the last sitting on December 4, 2018, the Court had ordered the EFCC and other security agencies, to ensure that she is brought to court 72 hours after she returns to Nigeria, for her to face the fraud charges. At the resumed sitting on February 25, 2019 prosecuting counsel, Faruk Abdullahi, informed the court that the Commission has written to the AGF, seeking for the extradition of Diezani. Titled, Letter Of Request To Extradite Mrs. Diezani Alison-Madueke From The United Kingdom, it was received by the office of the AGF on December 14, 2018.. It reads in part: “The Commission recently filed charges against Mrs. Diezani Alison-Madueke in both the Federal High Court (Charge No. FHC/ABJ/CR/208/2018) and the High Court of the Federal Capital Territory (Charge No. CR/22/2018)".